Why does my mouth taste like garlic? Who’s more of an animal, me or the black bear I saw this morning? When I touch a rock on top of Rattlesnake Point, does the rock touch me back? Is life an infinite amount of moments or one long moment? Are all trees part of one big tree that is slowly spreading across the earth and will eventually sprout from our abdomens? Do flies get annoyed by their own buzzing? 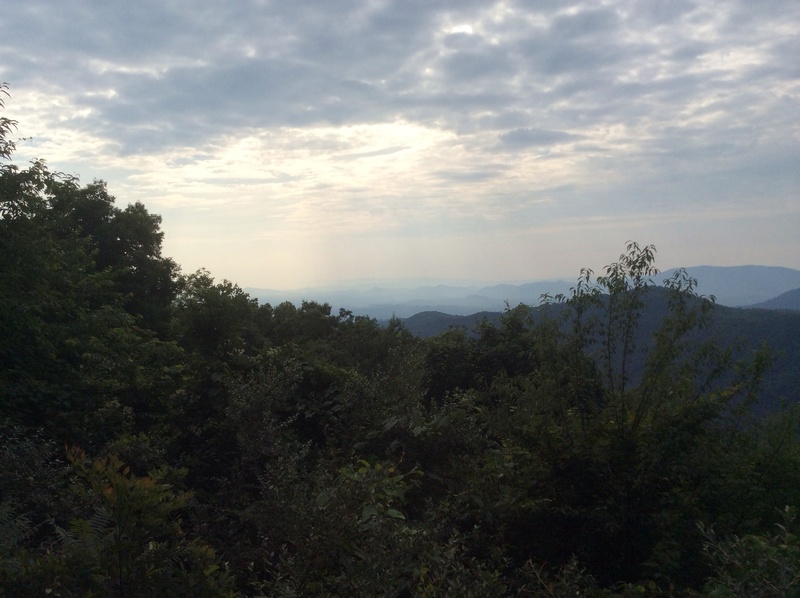 If the Blue Ridge Mountains are actually green but only appear to be blue, does that mean there is no truth? If a straight line is the shortest distance between two points, and straight roads are impossible to find in the mountains, does that mean beauty is inefficient? If I put my clothes into the dryer to make them less wet, and put a dehumidifier in my room to make the air less damp, does that mean that dryers are dehumidifiers for clothes? Do the trees ever get tired of humans wondering if they make a sound when they fall down? If someone told me that the Blue Ridge Mountains are the oldest mountain range in the world, and I believe them, does that make it true? Can I control things with my mind? If I talk to the trees, does that make them my friends? If a woman falls down in the forest and starts screaming, but there’s no one to hear her scream, is she actually screaming? What’s worse, dying by bear attack, or dying having never been attacked by a bear? Em, too many questions. Enjoy the vacation.